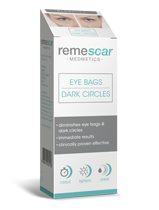 I cannot begin to tell you how excited I was to try out the new eye bags and dark circles treatment from Remescar. With promises of a 75% reduction in eye bags and dark circles instantly, could this be the new go to treatment for all ladies. No matter how much sleep I get, my eyes always look so tired. I don't think it helps working on a computer all day either, combine that with busy family life and it certainly takes its toll on your appearance. I was intrigued to how this cream could work so quickly and below is how I applied it. You can then apply your usual make up over the top, the effect can last for 8-10 hours and I can confirm that it really does work as you can see in the video below. Remescar products are manufactured by a company called Sylphar who make medical devices and cosmetic products. Remescar is safe for all skin types, although if you apply and feel any irritation you are advised to discontinue use. I was also pleased to hear that this product has not been tested on animals. You can buy Remescar from Boots priced £29.95. 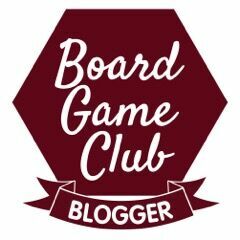 Would I buy this product? Yes most definitely, it is the perfect product for defying the signs of ageing even on a temporary basis. I was sent this item for the purpose of this review but the opinion is entirely my own. I suffer with really dark circles under my eyes so I need to look into this, especially at that price! I always wondered if things like this worked so I'm thinking I need to try it out for myself now. Being 40+ I have to start thinking about these things now...! This looks great for dark circles. I will check it out. Do you want to be sure if your spouse is being faithful to you or not?Contact digitizehacker037@gmail.com for any of your hacking problem & any hacking tools u need. We specialize in hacking mobile phones (WHATS APP/TEXT/CALLS/ETC) and change of grades its 100% safe.